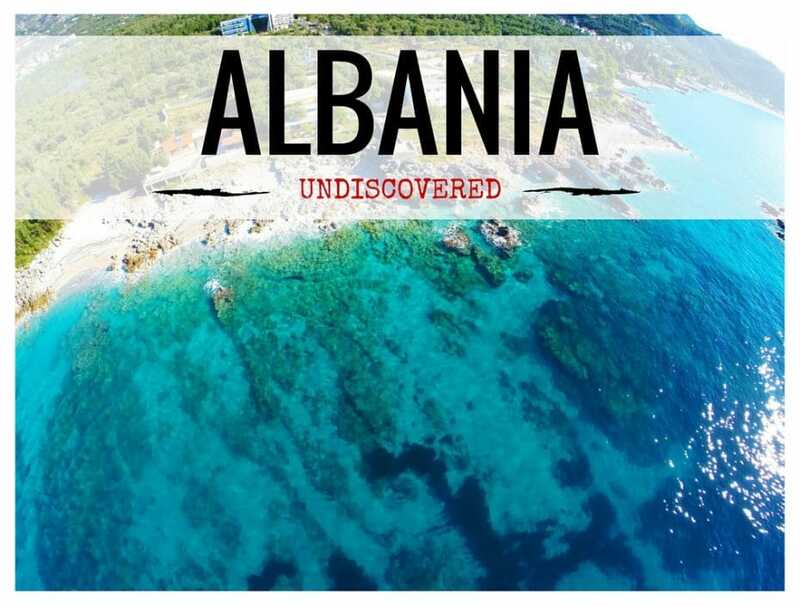 ALBANIA TRAVEL: Tour The Country Like the Albanian People! IS ALBANIA TOURISM ON THE RISE? Albania is called as Squiperia by the Albanian people (You must know that one of my best friends from University – the lovely Suela- is Albanian). The capital, Tirana is the center for financial and industrial activities. 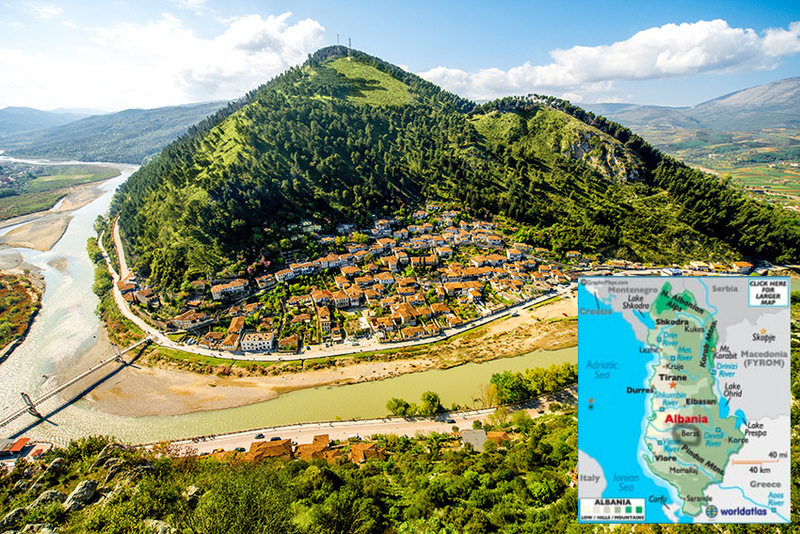 Albania has a large number of climatic regions compared to its landmass. It is popular among tourists due to its archaeological heritage from Greek and Roman times and its beautiful unspoiled beaches, traditional cuisine, and hospitality. It was also ranked as the number 1 destination to be visited in 2011 by Lonely Planet. 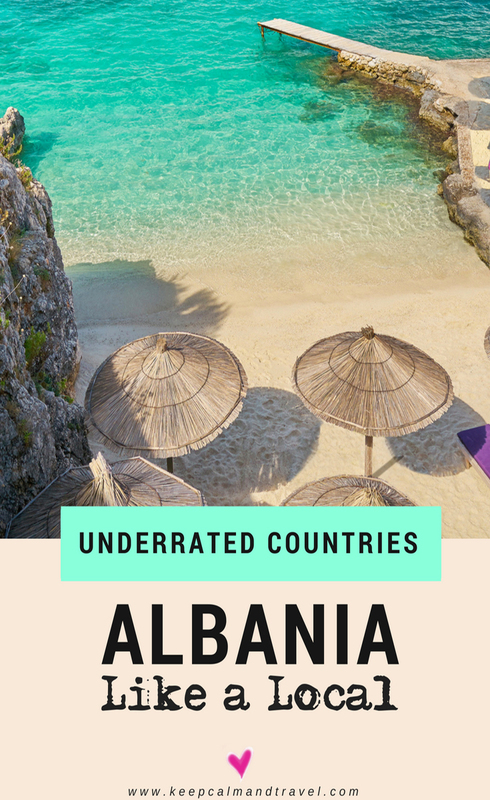 Huffington Post and New York Times have also suggested Albania as one of the must-see places in the world. 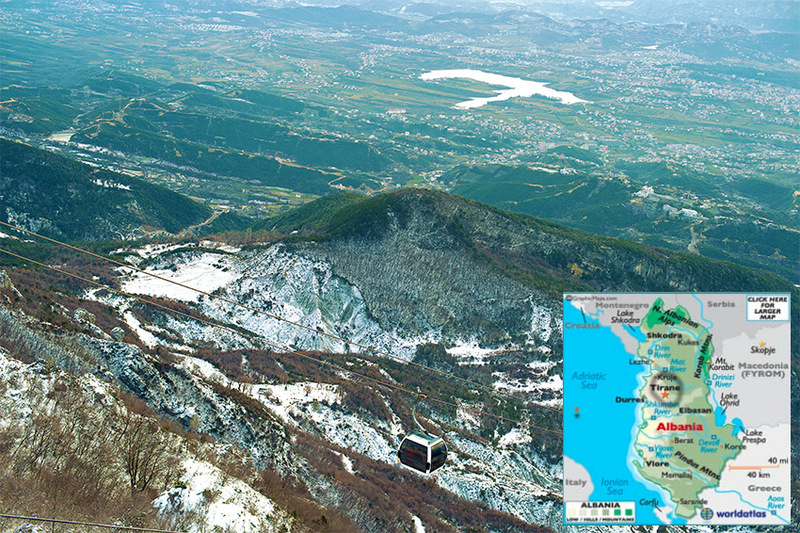 This is a cable car service which travels for about 300 m to the top of Dajti Mountain and gives you a spectacular view of the beautiful capital city of Tirana. The ride is inexpensive and worth every penny. You can see the local farmers down below using ancient farming methods even today. Visit the restaurant at the top that has a breath-taking panoramic view and satiates your high-altitude hunger. There is also an intriguing park with a shooting range at the top of the mountain. Choose a day with low humidity and low smog for your visit to get the best out of this experience. Berat is also known as the “town of a thousand windows” due to the array of ottoman houses bordering the hill. 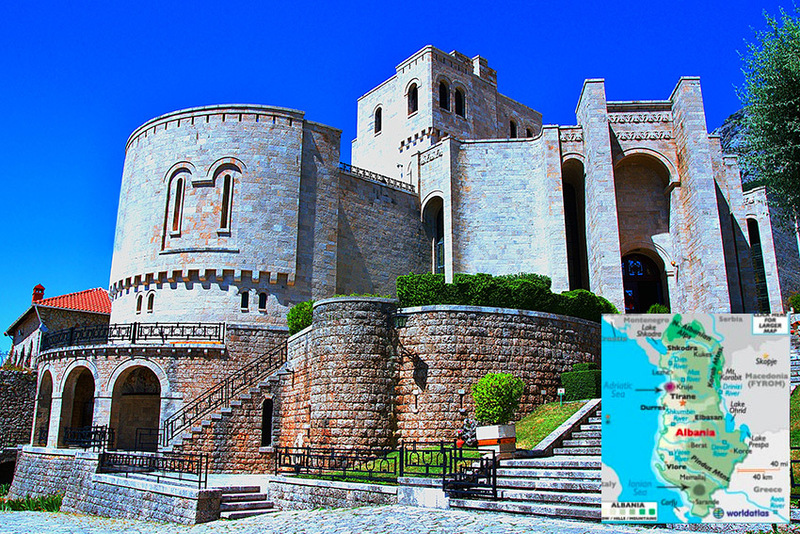 The Kalaja castle is located on this hill and it has a few fabulous churches and mosques you can’t miss out on visiting. 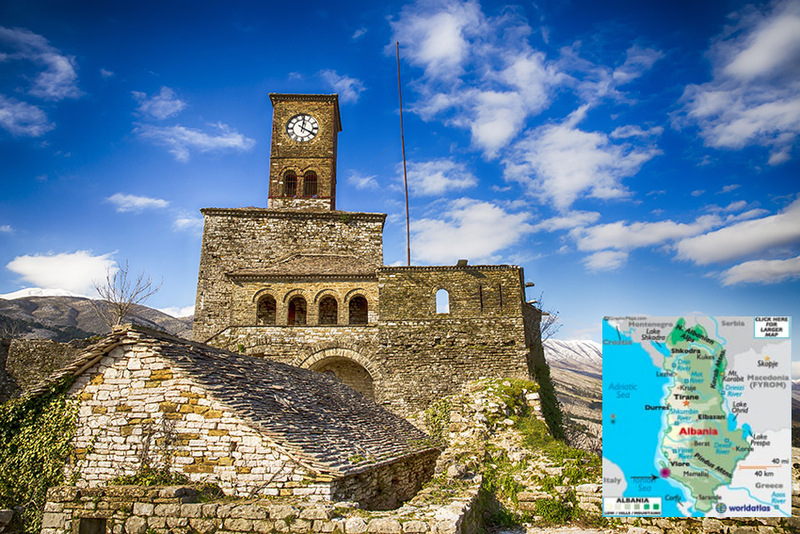 It is a great destination for people who love history and culture and will make a perfect entry in your Albania travel planner. There is also a famous tradition that takes place here in the month of January where the priest will walk to the bridge along with the orthodox Christians and drop a cross in the river, young men dive into the river and retrieve it to win a cash prize. 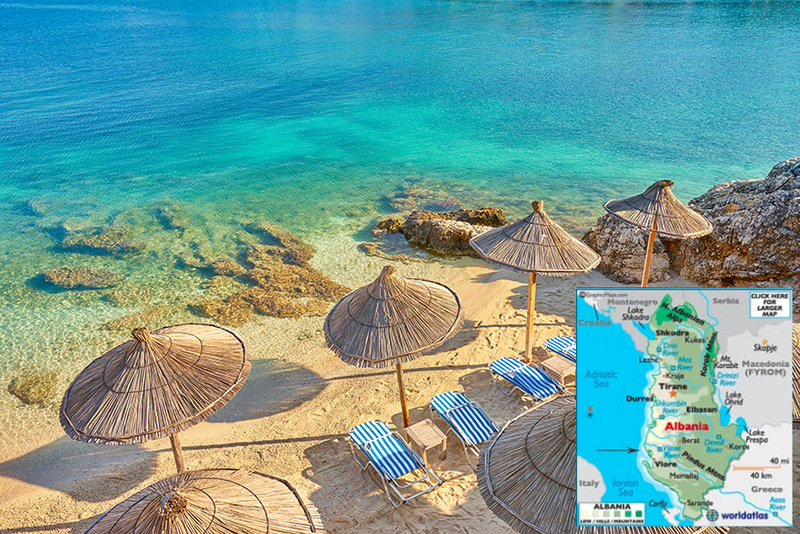 The amazingly beautiful Albanian Riviera is a coastal area running along the Ionian Sea under the Ceraunian Mountains on the south-western side of the country. People compare this to the Italian Riviera, but the Albanian Riviera is less crowded and much quieter. You’ll find many small villages along the mountain which are perfect for small romantic trips. The beaches (stunning aren’t they!) are ideal for swimming in and for a relaxing sunbath. Many hotels and attractions have sprung up in this area recently which add to the character of the place. Participate in adventure sports like sailing, paragliding, hiking, kayaking and underwater diving while you’re in the area. Gjirokastra is also known as “the land of 1000 steps”. It is a rare epitome of the Ottoman period architecture and is also listed as a world heritage site by UNESCO. The cobbled streets and the steep climb will take you back in time and show how people lived during the ancient times. There is a bazaar with many shops which are ideal for souvenirs and traditional artifacts. Explore the beautiful castle here which was built over 2500 years ago where you’ll also find a collection of cannons and American airplanes in the backyard. Make sure you buy a map and take a walk around the place to view all sights. Kruje is located between Mount Kruje and the Ishim River in north-central Albania. Kruje castle on the mountain, one of historic importance, withstood three massive sieges from the Turks back in the day. It stands tall, set at 650 meters above sea level and has a breath-taking view of the surroundings. The guide will explain all the facts about the castle of over 500 years. The museum of Skanderbeg contains original artifacts about Skanderbeg, the national heroes, and ancient artifacts. You’ll find the locals to be friendly and welcoming, making sure a traveler has a wonderful time in their town. 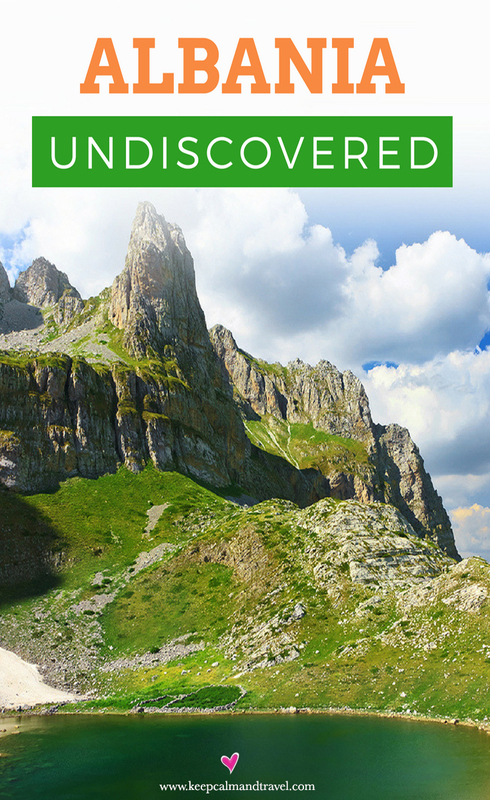 It is worth a visit and is a must inclusion in your Albania itinerary. 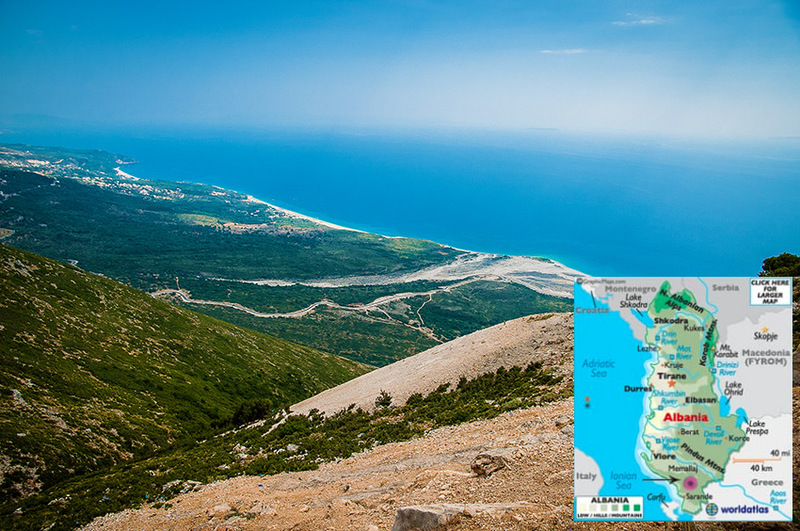 Located a short distance from the Albanian Riviera, the national park is situated about 1000 m above sea level. The cliffy region makes it a favorite with adventure-seekers interested in activities such as paragliding, hiking, and trekking. International paragliding competitions are held at this location. This is also a great place to savor some mountain tea and get natural honey. The area is home to various species of wildlife such as Griffon vulture, European wildcat, Red fox, and the Golden eagle. 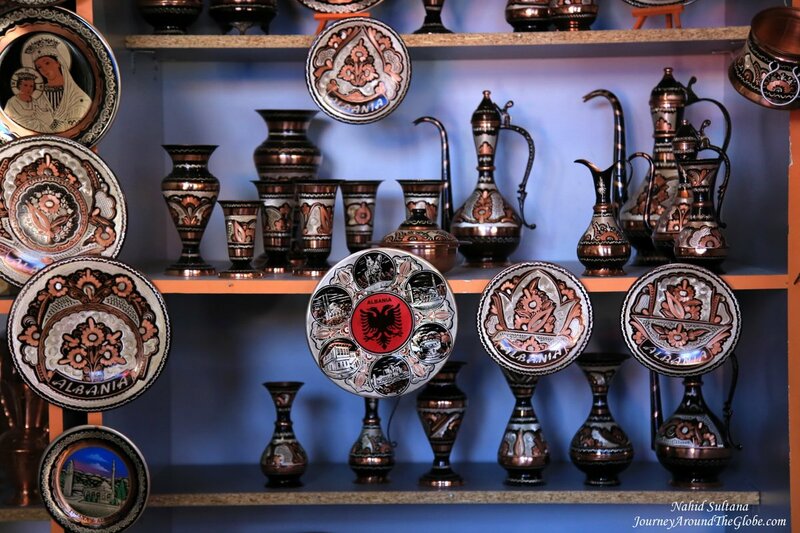 EXTRA TIPS TO VISIT THE COUNTRY LIKE THE ALBANIAN PEOPLE! When traveling to new locations, it is important to get a taste of the local cuisine to complete the experience. 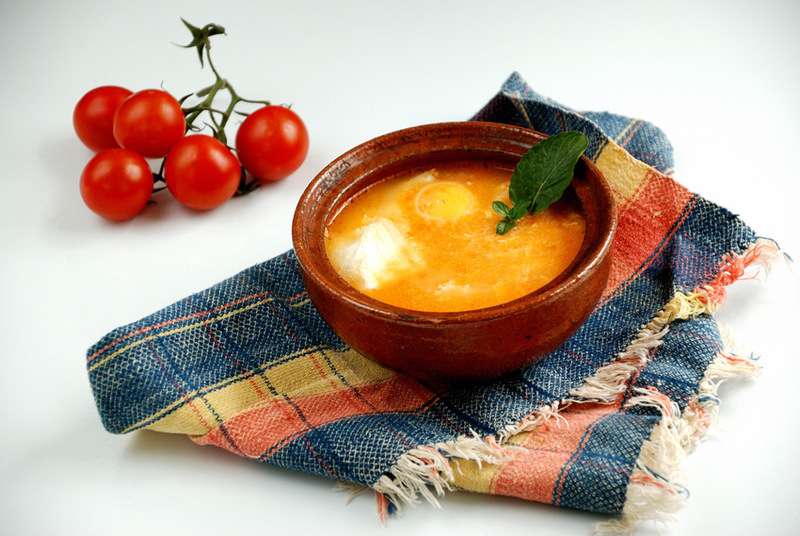 Albanian food is a great example of the East-meeting-West and reflects its rich historical past. Mediterranean flavors and ingredients dominate with dishes being a combination of vegetables and meats. Plenty of garlic and hot peppers are used in cooking as also lemon, vinegar, and yogurt. This means that there is a wide range of tasty dishes for travelers to choose from according to individual preferences of spice levels. Jahni meat, Tirana stew, Elbasani yogurt, Meze platters, Byrek, Flia, and Trahana are some of the flavors to be tasted. For desserts, try include Hallve, Tambeloriz, Ballokume, and Baklava as well as Boza, which is a drink served as dessert. A white cheese made from sheep’s milk is an integral part of Albanian food culture and can be compared to the feta that is more popularly known. Sautéing and baking are the common techniques of cooking a majority of these dishes and the earthen utensils used, impart a distinct flavor. For fans of alcoholic drinks, Albania has quite a few varieties on offer. Scanderberg is an Albanian cognac distinguished by its aroma while Raki is a locally produced fruit brandy. Luani, Cobo, Aquila Liquori, and Gjergj Kastrioti are famous wineries from the different regions of the country. Handicrafts, figurines, wood carvings, ceramics, and needlework items are some of the souvenirs that many tourists take home for friends and family. Every village in Albania has some distinct items to offer the discerning collector, such as the wooden pipes and embroidered tablecloths from Zadrima or the handicrafts of Shkodra. The local bazaars are a good source to find great bargains on such items. Have you ever been to Albania? I’m in love with the beaches and Castles! What about you? SAVE IT FOR LATER…PIN IT! What is actual currency in albania? Do they accept euro?